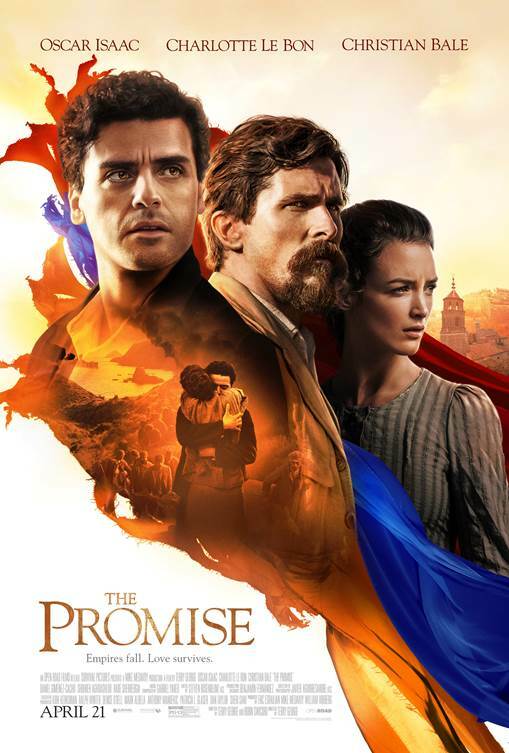 Enter for a chance to win tickets to see THE PROMISE on April 18 at 7:00 PM in Houston. Empires fall, love survives. When Michael (Oscar Isaac), a brilliant medical student, meets Ana (Charlotte Le Bon), their shared Armenian heritage sparks an attraction that explodes into a romantic rivalry between Michael and Ana’s boyfriend Chris (Christian Bale), a famous American photojournalist dedicated to exposing political truth. As the Ottoman Empire crumbles into war-torn chaos, their conflicting passions must be deferred while they join forces to get their people to safety and survive themselves. The Promise is directed by Academy Award winning filmmaker Terry George.